Description: The Task of this webquest is to examine the evidence surrounding Shakespeare and two of the famous Challengers to determine who really wrote Shakespeare’s plays. After watching a homemade video as a warming up pre-activity, two mysteries are to be solved by different class groups. Students will have to create a PREZZI OR GENIALLY to support their presentation to the class. Once they find their answers to the guided questionnaire, they will have to draw their own conclusions and they will cast a privet vote to choose who they will argue for. 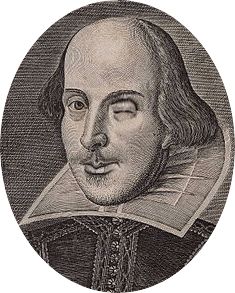 Keywords: DISCOVERING SHAKESPEARE. DISCOVERING CHRISTOPHER MARLOWE.DISCOVERING THE EARL OF OXFORD. Description: This is a warming up video as a pre-activity of our final task.